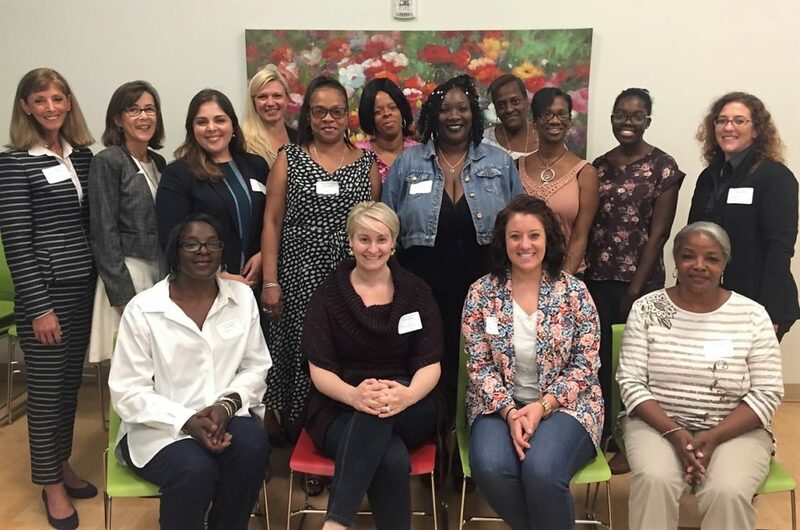 Last week, volunteers from Commercial Real Estate Women (CREW) DC came to Calvary to lead a workshop for women in our job placement program. 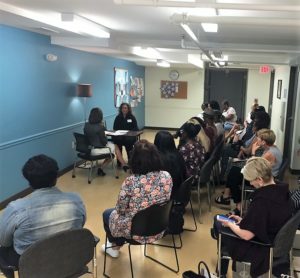 Entitled “Dressing the Part”, the workshop provided practical advice to job-seeking women at Calvary about how to dress professionally for interviews and networking. Volunteers from Suited For Change also joined the workshop. 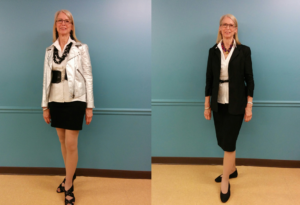 Terri from Suited for Change led an exercise showing how to properly show your personality and make a statement in the way you dress for an interview. They also invited women from Calvary to visit their boutique to prepare for their upcoming interviews. Next, CREW led a role-playing activity in which they acted out scenes to show how what you say in an interview matters just as much as how you dress. They closed the half-day workshop by meeting in small groups with women at Calvary to talk through times they had to keep up their confidence and mental stability during long job searches and difficult times. Workshops like these benefit women at Calvary by instilling renewed confidence as they work to secure employment, and helps them make valuable connections with women outside of Calvary who can provide advice and access to other networks. A huge thank you to our friends at CREW and Suited for Change for engaging in what we truly value here at Calvary: women empowering women.